The Irvin family have been involved in the Travelling Amusement industry for five generations, and like many other showland dynasties their story is one of perseverance and success over tragedy and adversity. They first became involved in the 19th Century when Ben Phelps, a classmate of Benjamin Disraeli, became dissatisfied with his life and ran away from school and from his family in Bristol to lead a life of adventure. After a life of travel and adventure he returned to his native county and married a local girl, then opened a dancing booth at travelling fairs, in which he played the fiddle. Ben’s daughter married William Irvin, a wheelwright from South London, who was making a living working with travelling fairs by fixing their vehicles. William had four brothers, all of whom went into the fairground business. Henry, the oldest, went to Scotland. George went to the East of England. James operated some Hoopla stalls and John had a circus. When William married Harriet Phelps, Ben had already purchased a Carousel so William ran it on behalf of the family. However when Ben died in 1902 the family could not keep up repayments on the ride so it was repossessed. 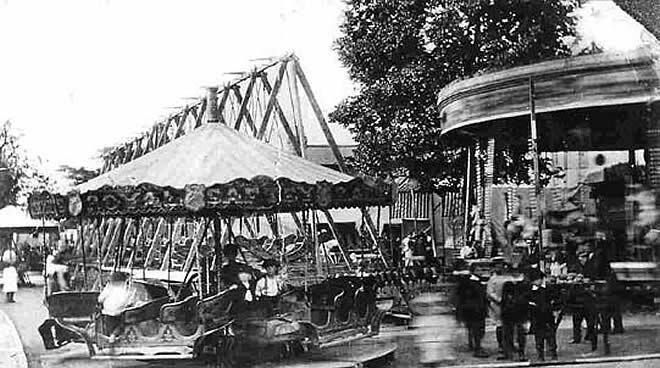 Undaunted, William purchased another Carousel, which stayed in the family for close on 100 years, and ran this in his own right. Tragedy struck the Irvin family twice in the early 20th Century. First of all William’s daughter Ruby was killed by a Tram whilst out walking with one of her brothers. Then during the First World War William died when logs he was moving as part of war work, using his Traction Engine, fell on him. Harriet Irvin continued to run the family fairs, at that time to the west of London around the army camps at Aldershot and Reading. Harriet died in 1932 at the age of 76, working to the very end, and her funeral was attended by hundreds of Showpeople who came to pay their respects to a much admired woman, who had driven the family business forward after the early death of her husband. The Carousel then became the property of George, (known in the family as George I) and he helped during the inter war days build up the family income in what was a very good time for the fairground business. Sadly George’s wife died young in 1945, and whilst George managed to continue with the business his young children had to learn to fend for themselves without the help of a mother. There were three sons, George, (George II), Billy and Benny, and their father split the family rides between them. Benny had the Carousel, George the Dodgems track and Billy the slide. All three of them worked on fairs run by their father, but also moved out and found their own new sites. George II s first son was also named George, the third with that name to lead in the family business, and he formed Irvin Leisure to expand and extend the public fairs he ran. However it was on the corporate side that George III really drove ahead. In 1986 he organised a hospitality fair for Saatchi and Saatchi in the London Docklands, and recognised immediately the potential for this type of promotion. However George also saw clearly that many changes would need to be made to both equipment and staff to allow him to work on this type of function. Staff would need training in the needs of corporate clients. Equipment speeds would have to be made variable to cater for people who may have enjoyed a drink or three at their company party. Better insurance, full risk assessments and adaptations to equipment to allow access to difficult indoor venues were amongst the many changes he made, and that is why in the 21st Century Irvin Leisure Entertainments is the leading supplier of fairground equipment at corporate events and private parties. George has also overseen the creation of The Irvin Organisation Ltd who manage the public fairs and festivals programme, which is still key to the company’s programme each year. Now George’s two sons, George (IV) and James are heavily involved in the company along with his experienced team of staff, and the legacy of Ben Phelps, William and Harriet, plus George I and II continues and grows. The sixth generation is already working to maintain this superb tradition. 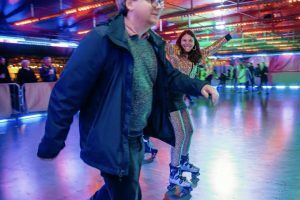 This is based on two articles written for the Worlds Fair Newspaper by Professor Vanessa Toulmin from the University of Sheffield, which includes interviews with George (II), Billy and the late Benny Irvin. A copy of this can be provided upon request. Researching the history of Bedfont Green Fair (Middlesex). In 1909 Mr Irvin secured the green much to William Beach’s annoyance. Which Irvin was this? Do you have a photograph? Thanks for asking Ken, and we shall find out and let you know and post a photo on our website too if we can trace one. my dad told me he use to work on a fair.then i find one with are last name.what a small world.and what a wicked name.will have to try and look at for you next time your in london way.my little girl would love it.a fair with her last name.